All quotes are subject to carrier geographic restrictions and underwriting guidelines. Our Auto & Home Standard Markets can quote new business personal automobile with at least one carrier in all states except Alaska and Hawaii. We have the ability to quote new business primary homeowners in all states except Alaska, Hawaii and Florida. Change of Producer request for Auto & Home Standard Markets (formerly Eagle Express) can be found on Big "I" Markets under Auto & Home Broker of Record Change. Note all broker of record changes are subject to our carrier appointments and to carrier acceptance. Good news! Travelers recently lifted the homeowners and automobile new business package requirement. Of course for premium saving it is more advantageous to package the auto and home with the same carrier. Auto & Home Standard Markets can now quote monoline personal automobile with Travelers. The automobile must be continuously insured for one (1) year, underwritten with a standard market, maintain bodily injury liability limits greater than state minimum and carry physical damage on a least one vehicle. 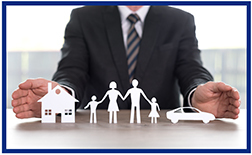 Let's explore a few premium saving options when requesting a new business quote on Auto & Home Standard Markets. When quoting it is important to quote the business accurately. Below are a few tips on obtaining a more competitive quote. Learn more at www.bigimarkets.com, or send your questions to bigimarkets@iiaba.net. 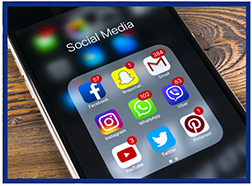 Don't miss on out on valuable news and updates-include the Big "I" in your daily social media digests! Stay in-the-know on insurance industry trends, Big "I" product updates, webinar offerings, coverage tips and happenings on the Hill. The unfortunate state of the world when it comes to cybersecurity is that nothing is or will ever be 100% secure, and that no one can defend themselves 100% of the time. Even with the very best risk management practices, cyber incidents can and will happen. And when they do, you need an experienced team by your side to help your business get back up and running. Big "I" agents can provide their clients with just that-access to a dedicated incident response team through our new cyber insurance partner, Coalition. Cyber incidents come in many forms-from denial of service attacks, network breaches, and malware to extortion, funds transfer fraud, and privacy breaches. When disaster strikes, you need a partner who can move swiftly, and who is armed with an experienced and committed team. In the event of a breach, timely response to an incident is critical to mitigate loss. It can mean the difference between a road bump or a severe disruption of an organization's operations. With Coalition, your clients don't have to waste precious time coordinating between insurance companies and their third-party vendors. Coalition's incident response team is able to immediately begin identifying and containing an incident. From easy claims reporting and payments that can be tracked right from Coalition's policyholder dashboard to an issue resolution process that gets companies back on track quickly, Coalition's claims philosophy is based on a foundation of trust, respect and transparency. 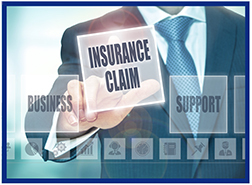 Claims are managed proactively, fairly and with great care. And for every claim that does get filed, there are hundreds of potential claims that never make it to the point of breach due to steps taken to strengthen a company's security footprint when issues are flagged by Coalition at policy issuance or via their monitoring tools. Should a client ever need to file a claim, Coalition helps policyholders understand their coverage and serves as an advocate for reimbursement. Better yet, they also help remove any roadblocks along the way. Your clients can and should get in touch with Coalition before a claim. Take advantage of the expertise they offer as an on-call, cyber risk management partner. Whether your clients need guidance on how to manage cyber risk, or simply suspect an incident, Coalition's experienced team is available 24/7/365 by phone, email, or even live chat. Congratulations to our agent in New Hampshire on a Bond sale of $20,282 in premium!